SEA was founded in 2004 by a group of academics and social activists to advance critical economic discourse and social activism. Since the middle of the 1980s, Israel has adopted a neoliberal economic policy that resulted in growing inequality and increased poverty rates. In the labor market, Israel has become the Western world’s leader in the percentage of subcontracted workers; the percentage of unionized workers has dropped from 70% in the 1980s to 24% in the mid-2000s; wages remained the same while living expenses have risen. Privatization processes in education, health, welfare and housing harmed equal access to social services. As a result, an increasingly large portion of Israeli society is struggling to make ends meet and feels that social and economic policy does not work to their benefit, yet they do not believe they have the ability to understand or influence it. SEA’s founders understood that one of the main factors that allowed these policies to rule for such a long time and be perceived as inevitable was the lack of public debate about these policies’ ramifications and their possible alternatives. SEA was established to mend this situation. SEA created, with the help of leading critical academics, an accessible educational framework for in-depth learning on socio-economic issues and for gaining tools and training needed to take proactive action. SEA is led by the belief that only a combination of ideas promoting social justice and actions geared towards change can be effective, and that learning and organizing are the keys to changing Israeli society. This position informs all of SEA’s programs. 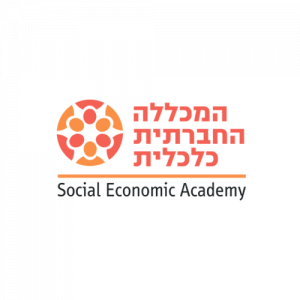 The main topics being taught in SEA’s programs are social policy in Israel and alternatives to it, the Israeli labor market, and labor and community organizing. Workshops are led by leading academics and organizers. Over the years, more than 70,000 people of all ethnicities and walks of Israeli life have studied at the SEA. * The Labor Organizing Program offers an introduction to the world of labor in Israel and trains labor organizers by offering the theoretical and practical tools needed to both understand the labor market and worker’s rights and to work in the field to unionize workers. More than 18 labor organizing courses, for over 300 participants, have been conducted by SEA. SEA was among the few first to raise anew the banner of workers’ rights and stress the importance of unions in improving workers’ conditions. Graduates of the SEA courses have gone on to join labor unions and to organize teachers, social workers, janitors, security guards, bus drivers and others. 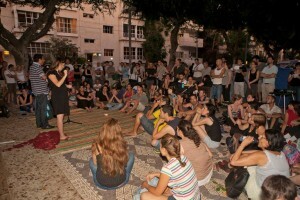 Since 2007, SEA also holds an annual Labor Film Festival at the Haifa Cinematheque, comprised of lectures and film events dealing with workers’ rights. * The Progressive Economists Program trains the new generation of economists and public servants in Israel to think outside the economic box and work to integrate a progressive economic outlook into Israel’s public service. * The Social Policy and Welfare Program aids professional social workers to better understand social policy and its formulation and endows them with the skills needed to influence the field of public policy, encouraging them to actively engage in promoting a socially just society. * The Community Organizing Program is intended for local activists of all types and levels of commitment, who strive to change policy in their home communities. 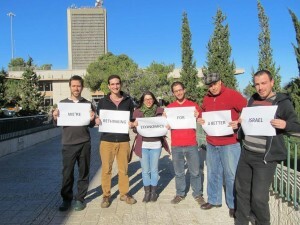 It teaches theoretical and practical knowledge regarding socioeconomic issues, including socioeconomic reality and policy in Israel, the structure and main institutions of local government, the municipal budget, key social issues – education, welfare and housing – in their municipal manifestations, and community organizing. During the 2011 social protests, SEA took its work to the streets and offered classes and workshops throughout the protest encampments set up across the country. SEA and its staff aided the protest movement’s leaders in formulating policy. They were also instrumental in the work of the Spivak-Yonah Experts Committee, which served as the protest movement’s clearest articulation of an alternative social and economic policy for Israel. The Committee’s report was first presented in a conference organized to that end by the SEA. Over the years, SEA has published its classes on Ynet, Israel’s most popular website and the online version of Israel’s most popular daily. It has a weekly radio item in which key economic concepts are elucidated for the general public. 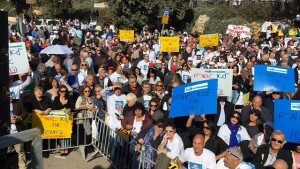 SEA lecturers and activists frequently publish op-eds and commentaries in Israel’s leading newspapers and websites, are interviewed in various media venues and participate in public forums to promote SEA’s progressive discourse. SEA has been a partner organization of RLS since 2008. Over the years, RLS has supported various SEA programs, focusing recently on community organizing and labor organizing.